Love is in the air in the Stateline! There are lots of options for local lovebirds this Valentine’s Day. Get a sitter and enjoy a night on the town with your honey! Here are some upcoming event options for February 14-16. Enjoy a romantic wine tasting before you head out to dinner. These local wineries are classy and affordable! McEachran Winery offers a variety of cold-climate grape and fruit wines. A wine tasting is only $5 per person. Cheese, hummus, and other snack plates are available to pair with your wine tasting. McEachran is open on Valentine’s Day and all weekend. DC Winery has a wide variety of reds, whites, and sparkling wines available to try. This date won’t break the bank because wine tasting is only $5 per person. While you can’t go on Valentine’s Day (they’re closed), you can go Friday through Sunday. Several local restaurants are running specials for Valentine’s Day. Have a romantic dinner at one of these Rockford area hot spots. Come and enjoy a wonderful four course meal and a romantic setting at Clara Bo and Gatsby Wine Bar. Call for reservations 608-207-9842. Enjoy a special Valentine’s Day dinner at The Olympic. The menu includes raw oysters, chilled seafood platter with lobster, shrimp, crab and more, a lobster boil, double cut ribeye, bananas foster and creme brulee. There will also be specialty cocktails. Call 815-962-8758 to RSVP. Dine in for a complete meal for two for $49.95. Your choice of Shrimp DeJonghe or 14 oz. New York strip dinner. Included are the special salad, fresh bread, potato or pasta, ice cream and a glass of champagne. If you can’t dine in, try the carry out special for $14.95 which includes large 14 inch cheese pizza, special salad for two and two liter of pop. Enjoy a special limited dinner menu at Greenfire for Valentine’s Day. Options include chocolate bacon wrapped shrimp, filet and lobster, Chicken Wellington, cedar plank Scottish salmon, strawberry and champagne salad and other decadent choices. Call for reservations at 815-316-3473. Here are some other local options that are perfect for a romantic dinner for two no matter what type of food you’re in the food for. If you want to take your sweetie out to see some live music, here’s who’s playing in the Rockford area on Valentine’s Day and the following weekend. Enjoy a little rock music from John Mellencamp. You can get tickets here. Listen to the sultry sounds of Saxophonist Amanee Avery and enjoy an Italian dinner, Valentine desserts, champagne, and specialty shopping. Get your tickets here. Enjoy the music of the Soft Shoe Shufflers as you eat a romantic dinner. Listen to the band Minimal as you enjoy a romantic dinner. Menu includes lobster, chicken oscar, or sirloin steak. Call 815-654-3500 to make your dinner order by February 1st. Check out popular country music star Kane Brown as he rolls through town. You can get your tickets here. If you enjoy classical music, you’re in luck. You can listen to the Rockford Symphony Orchestra perform Schubert revisited featuring Beethoven’s King Stephen Overture. You can get your tickets here. A night of live entertainment featuring the band Too Deep, performances by Boyce Hudson, Dory McAllister and Kandrice Jackson, music by DJ Rated AG. Food by Chef Tisha Hannah. Hosted by comedian Deon Freeman. $40 tickets include appetizers, $65 include full meal and dessert. Call 779-771-4185 to purchase tickets. The Avalon String Quartet will feature a pre-concert lecture and a performance. Want to get creative together? Take a painting class or do some crafts with your boo. Wanting to get crafty with your significant other? Sign up for a couple’s class at Board and Brush! You’ll be able to create a couples sign together, receive free drinks and desserts and get a special bonus sign! Register here. Enjoy matching wits with your significant other? Try some trivia together. Play four exciting rounds of challenging trivia questions along with a bonus question to win it all. 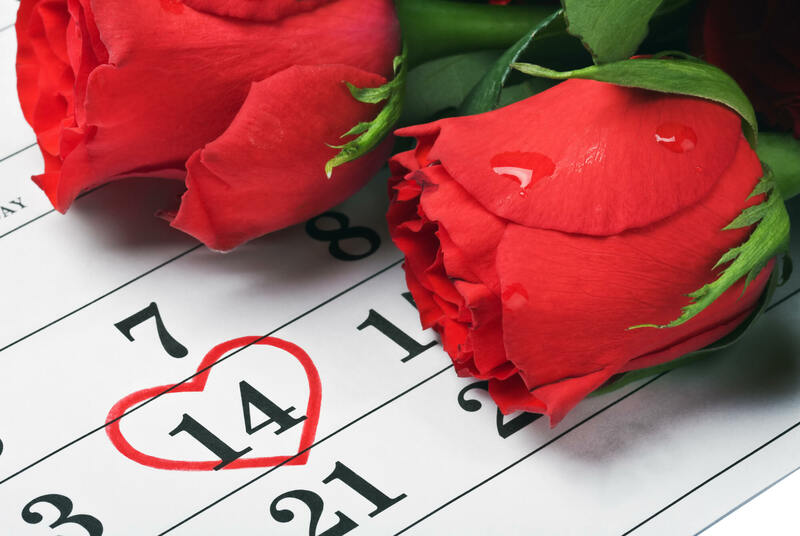 Make it a perfect Valentine’s Day with an overnight stay! Here are some romantic destinations for a local staycation. If you’re looking for a classy stay close to home, head to the Ironworks Hotel in Beloit. The hotel is located in the historic downtown. The luxurious rooms have fireplaces to get cozy with your love. You can even order chocolate covered strawberries, champagne, and rose petals! Hotel Goodwin is a luxury boutique hotel located in downtown Beloit. Enjoy a fabulous stay in rooms with turntables and record collections, smart TVs, Keurigs, and comfortable furniture. A $50 Geronimo Hospitality Group restaurant gift card – good for Merrill and Houston’s, Lucy’s, Truk’t and several other places. As we find more Valentine’s Day date events, we’ll add them to this list. Did we miss an event or place you love? Email us at hello@statelinekids.com and let us know.